Sitting at a table in a far corner of his art gallery near Detroit’s Eastern Market, Gary Wasserman explains the exhibit that will take up the center of the large brick room that, once upon a time, housed a fleet of Detroit’s fire engines. 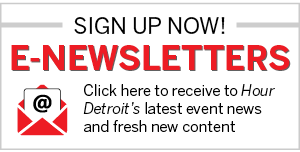 Wasserman brings well-known artists from all over the world to Detroit for rotating exhibits, but it is in this central space where in September he will put his only permanent fixture. In fact, it is one of the reasons he opened the gallery, Wasserman Projects, in the first place about one year ago. Wasserman likes art about big ideas, and the exhibit will carry some heavy themes. It’s a project about global diversity, unity, the human condition. It’s a metaphor for us all, for the current state of humanity and the potential for the future. There are only a few last hurdles to clear before the exhibit becomes reality: shipping all the components, installing and constructing, and figuring out who exactly will be cleaning up the poop. Wasserman’s exhibit is a chicken coop. Three coops, to be exact, although they will not be ordinary coops — or ordinary chickens. Wasserman Projects will be the only gallery in the world to serve as an extension of Belgian artist Koen Vanmechelen’s Cosmopolitan Chicken Project. Over two decades ago, Vanmechelen got his hands on one of the cherished, government-bred and -controlled Poulet de Bresse chickens of France and introduced it to the Mechelse Koekkoek chicken of Belgium. To the delight of Vanmechelen and to the fury of the French, they made a bunch of baby chickens — about 500. And voila, a new species was born, the Mechelse Bresse. They introduced that chicken to an English Redcap of England, resulting in a generation of the Mechelse Redcap, which they bred with the Jersey Giant of the United States, and so on, choosing chickens from different parts of the world for each successive generation, further diversifying an ever-evolving breed of chicken. For Vanmechelen, the chickens represent how we all are — or could be — one. Next in line: a Detroit chicken. Wasserman left Detroit some 15 years ago, frustrated with the city. He went to Florida and, now and then, would hear about some neat things happening back home. He never bought into it until about four years ago when he came back to Detroit and saw a growing arts scene and an “energy” that excited him. It wasn’t all his friends had hyped it up to be, but it was enough to make him optimistic, even if cautiously so. He opened a gallery in Birmingham to play his part. Wasserman is CEO of Allied Metals Corporation. and a longtime arts enthusiast and philanthropist. He’d collected art for most of his life, but this was his first gallery — and his first exhibitor was Vanmechelen. There were no live chickens, but he did convince the artist, whose work has appeared at some of the world’s largest museums and art events, to bring some work (taxidermied chickens from generations past) for its opening. Thus began his artistic wooing of Vanmechelen that allowed him, in time, to bring him to Wasserman Projects, the gallery Wasserman opened in 2015, after he moved to Detroit when a location opened up. He says he not only succeeded in shocking the public, but he also won over Vanmechelen, convincing him to expand the Cosmopolitan Chicken Project. “From that experience, Koen became infatuated with Detroit,” Wasserman says. And from the beginning, Wasserman says the chickens were a perfect fit. Detroit was founded and built on diversity, fell apart with diversity, and is now climbing its way back through diversity. “This, to me, was such a natural evolution,” Wasserman says. The city of Wyandotte is named for the Wyandot tribe or Native Americans who once populated part of the lower Great Lakes region, particularly in northern Ohio and southern Michigan — including the place that would become Detroit. And, like many people of the world, they ate a particular breed of chicken that still exists today, the Wyandotte chicken. It is that breed that is going to be the next step in Vanmechelen’s line of chickens. The Wyandotte chicken will be bred with the most recent in the Vanmechelen line, resulting in a chicken never seen before, the Mechelse Wyandotte. Which takes us back to that empty space in the gallery. Each coop will carry a different chicken, one with the American Wyandotte Chicken, one with the Cosmopolitan Mechelse Cemani, and one with their offspring the 20th generation. In other words: Mom, Dad, and Baby. But Wasserman wanted to take it a step further. This is Detroit, after all, a place where it seems especially wasteful to be breeding chickens without eating them. And so, separate from Vanmechelen’s Cosmopolitan Chicken Project (but bearing his stamp of approval) is the Planetary Community Chicken. 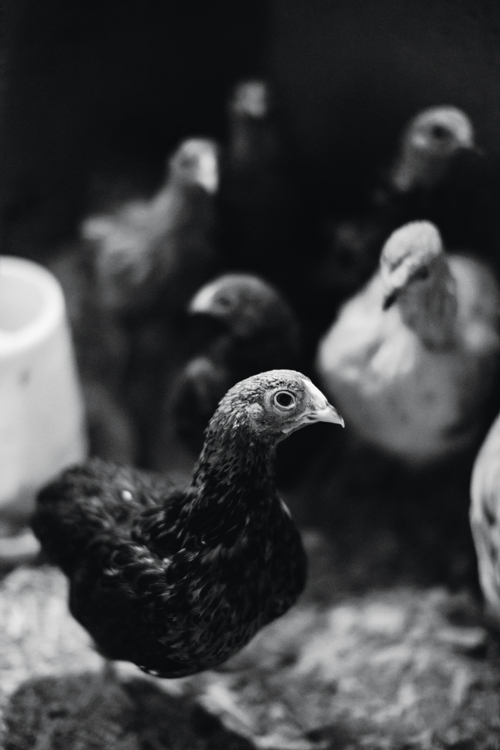 The Oakland Avenue Urban Farm collaborated with Wasserman Projects, breeding each year’s Cosmopolitan chicken with what Wasserman calls the Industrial Laying Hen, the type genetically engineered to be used by big meat companies. The resulting eggs will be sold at or distributed in and around the city. The more Wasserman and his team have learned about urban farming, and the different ways it’s done and impacts the city, the more excited he’s become to be a part of it. It’s easy to forget sometimes that you’re talking to Wasserman about chickens. The initial and inevitable first reaction to the project — a chuckle, maybe, or perhaps an eye-roll becauseâ€……â€…wellâ€……â€…chickens! Hilarious! Weird! — dissipates. And all those other themes like humanity and global diversity rise to the surface, even if just for a moment. “(Chickens are) sort of the lowest common denominator,” Wasserman says. “As a group of people coalesce into a society, one of the first manifestations of that civilization is the chicken. And the reason is that the chicken is a very simple animal. They’re simple to raise, they’re simple to take care of, they’re simple to breed, and they provide so many life-sustaining products: meat, and eggs, and feathers. 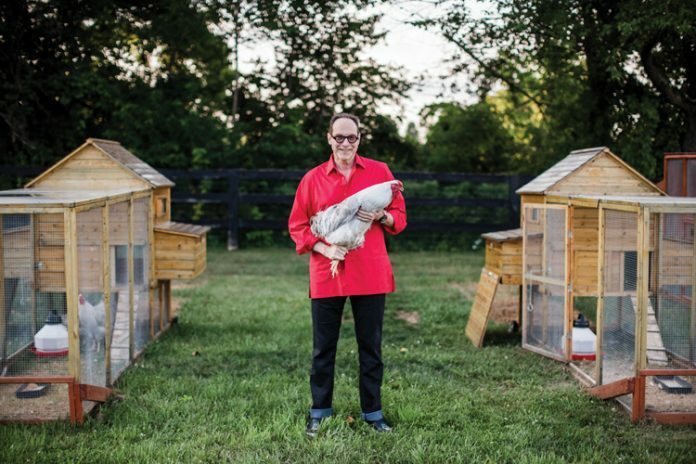 The Cosmopolitan Chicken Project opens at the Wasserman Projects on Sept. 22. For more information, visit wassermanprojects.com.